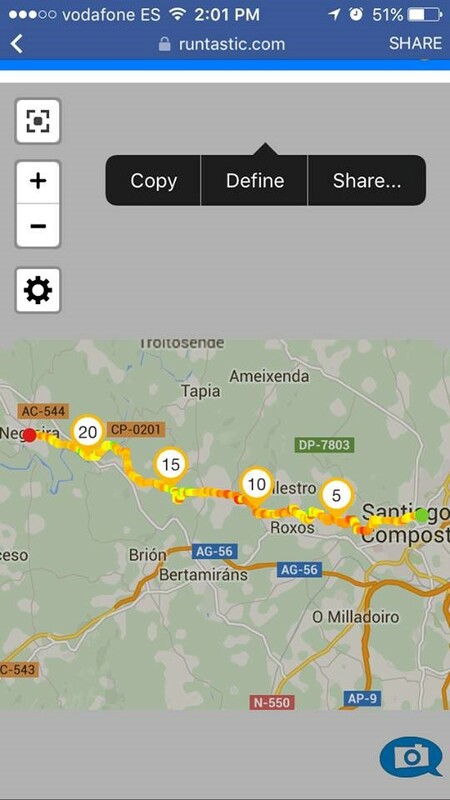 This is the continuation of Camino Inglés 2016 route reports by James Portelli. Meet James in Camino Collaborations. 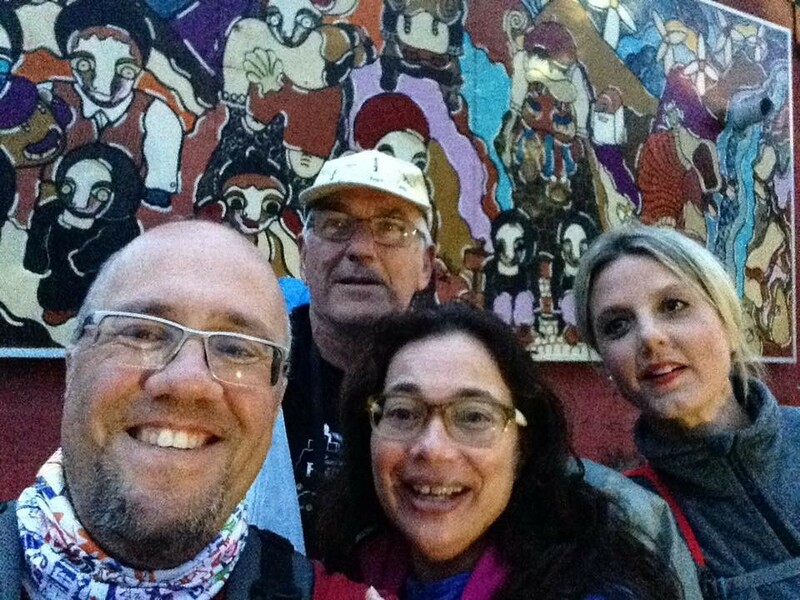 Below is the final episode, Santiago to Finisterre, a seperate Camino that many pilgrims walk after they reach Santiago de Compostela. 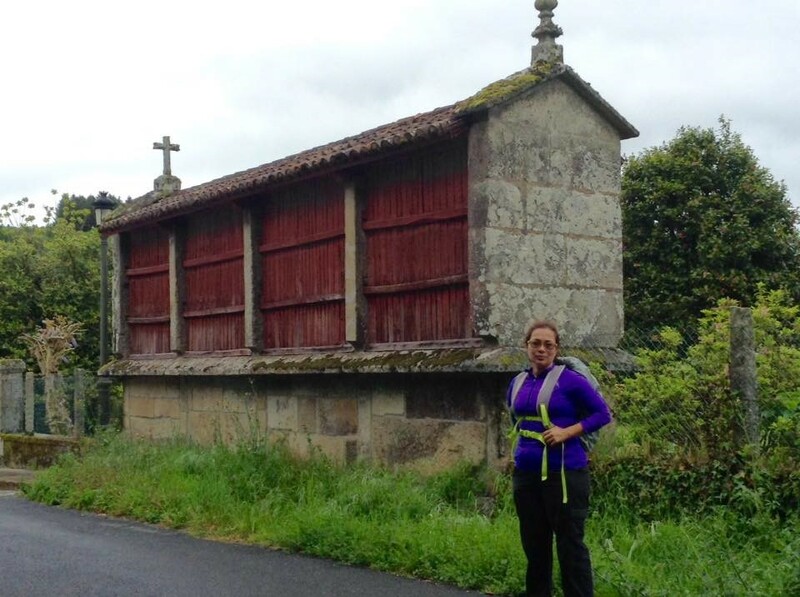 This final piece focuses on the last three days of our Camino, during which we walked from Santiago to Finisterre (a.k.a. Fisterra). 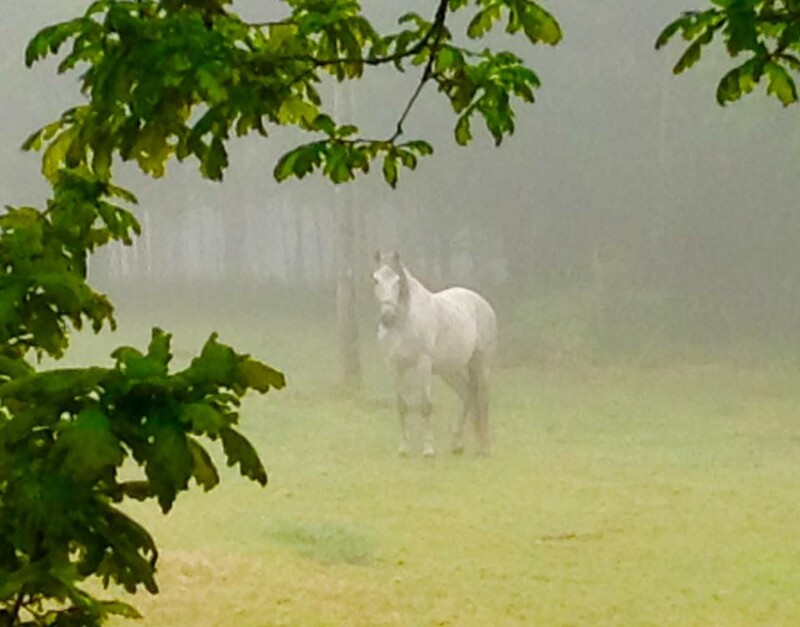 In addition to the route report, I have also included a few personal reflections. 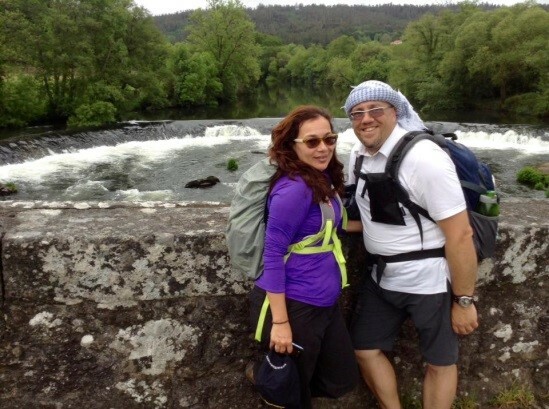 This final leg of the Camino was particularly special because I had been yearning to share the experience of my earlier Finisterre trek in fall 2015 with my wife. 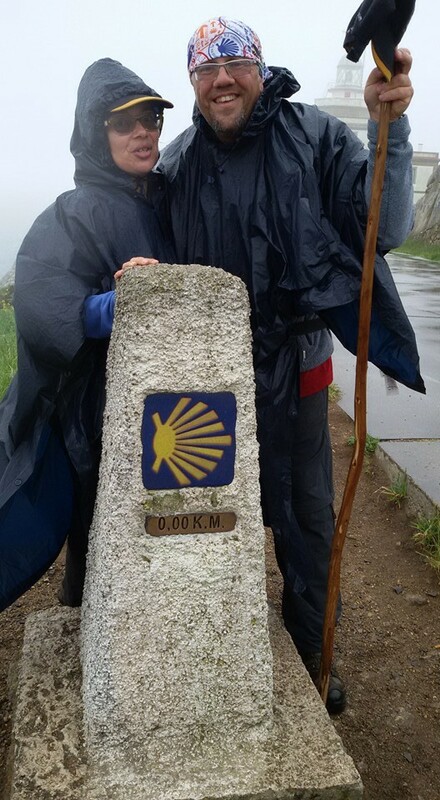 Our Camino this May was therefore a dream come true. 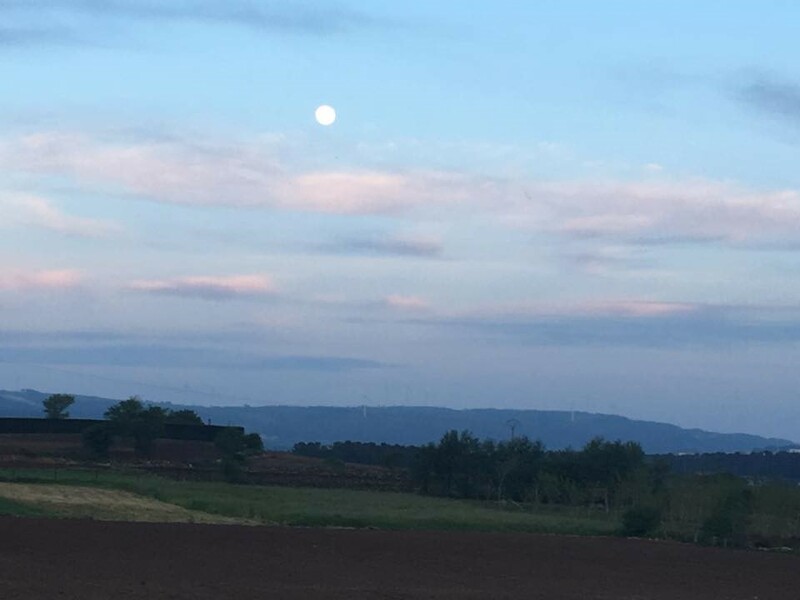 On the first day of the walk from Santiago de Compostela to Negreira, we covered 26 km as we walked through Barcia (3 km), Laraño (San Martiño), Roxos (6 km), Aguapecada (16 km), and Ponte Maceira (18 km). The elevation gain from Santiago was around 250 m due to the ascents following a gradual descent outside of Santiago. In Santiago we departed from Hospedería San Martín Pinario and made our way to Plaza del Obradoiro. Already at 7:00 a.m., the sky was overcast, and we knew that it was a matter of time before it started raining. With the Cathedral to our left and the Parador (historic Spanish hotels) to our right, we walked down Rua das Hortas and past the Church of San Fructuoso. 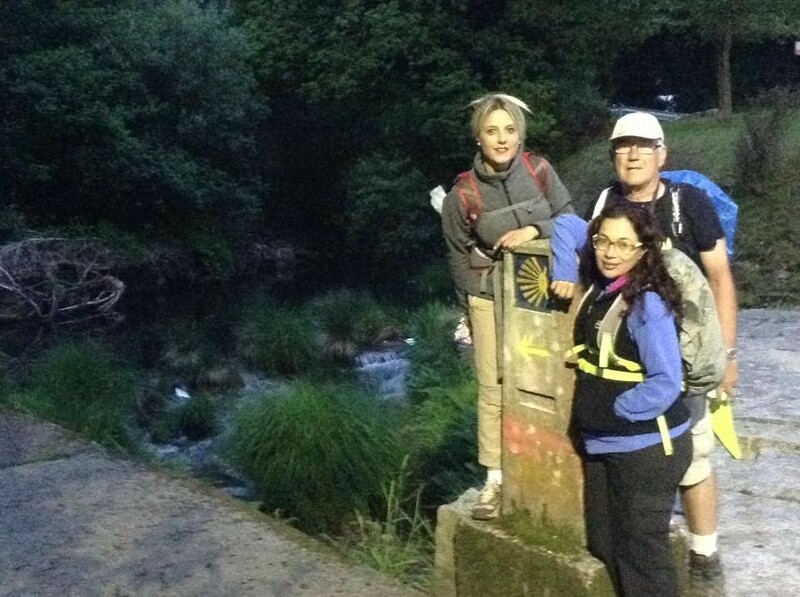 There is a spring with potable water where some of us replenished their supplies before leaving Santiago behind. At the end of the road, we entered beautiful countryside. There is one vantage point along this route where typically one can see the silhouette of the mediaeval Santiago with its magnificent Cathedral. Regrettably, the rain reduced visibility and denied us the opportunity to admire this view, and so we pushed further into the Galician countryside. 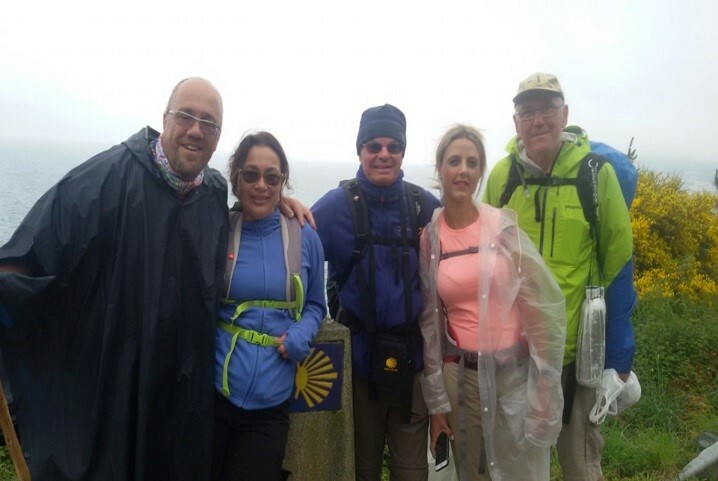 The overall trek was a relatively easy one, with a gradual descent stretching over approximately 12 km from Santiago de Compostela (260 m above sea level) to Aguapecada (less than 100 m above sea level). From there we proceeded to Alto do Mar do Ovelta (i.e., the next 2 km or so) and ascended 200 m before starting another gradual descent for the remainder of the trek until Negreira. There are plenty en route coffee shops. Aguapesada, at around 12 km, is a popular stop for a mid-morning snack. Although in general the road is very well marked, you will see signs pointing toward Finisterre and others pointing toward Santiago. 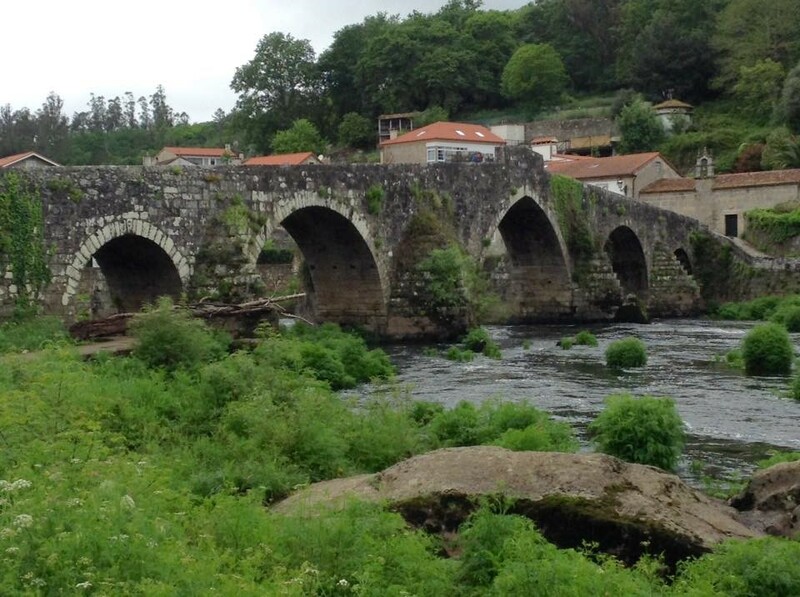 Besides the spectacular countryside, the highlight of the day is crossing Ponte Maceira, a thirteenth-century stone bridge with five arches that was built on Roman foundations. We crossed Río Tambre and walked into the mediaeval town bearing the same name as the bridge. There we admired its ayuntamiento (town hall), pazos (country mansions), and hydrangeas paying homage to an ancient cruxeiro. After some minor inclines, the downhill walk from Ponte Maceira toward Negreira was a relatively easy one. Negreira developed into a modern town with all amenities and an abundance of coffee shops and restaurants offering an evening peregrinos meal, which we had at Café Bar Imperial. The owner of the restaurant spoke impeccable English and organized a varied peregrinos menu for a significantly sized group in a short period of time. There is also a small part of Negreira with some remains of an old mediaeval town—namely, the town gate and the adjoining parish church. The landlady at Albergue El Carmen, where we were staying for the night, kindly contacted the person with the keys to the parish church, and we managed to attend mass in Maltese before our evening meal. 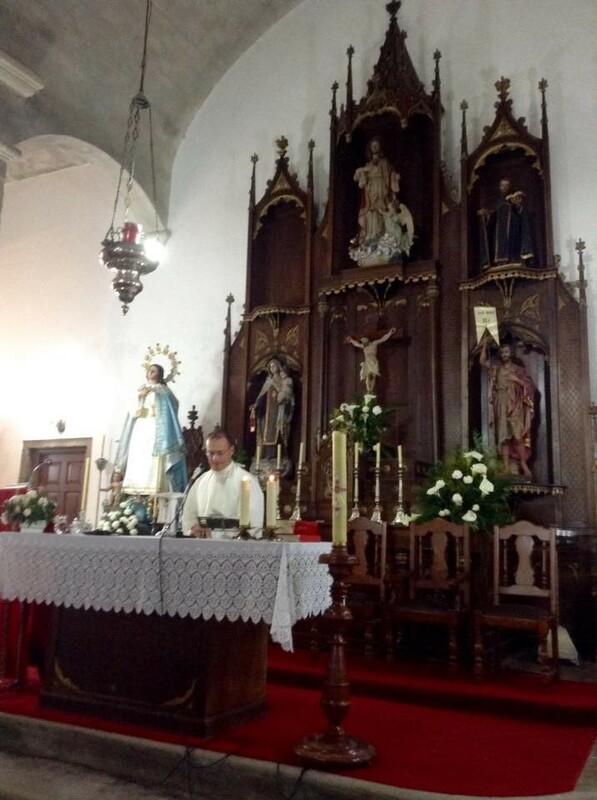 The mass was a serene ending to an also relatively serene day. 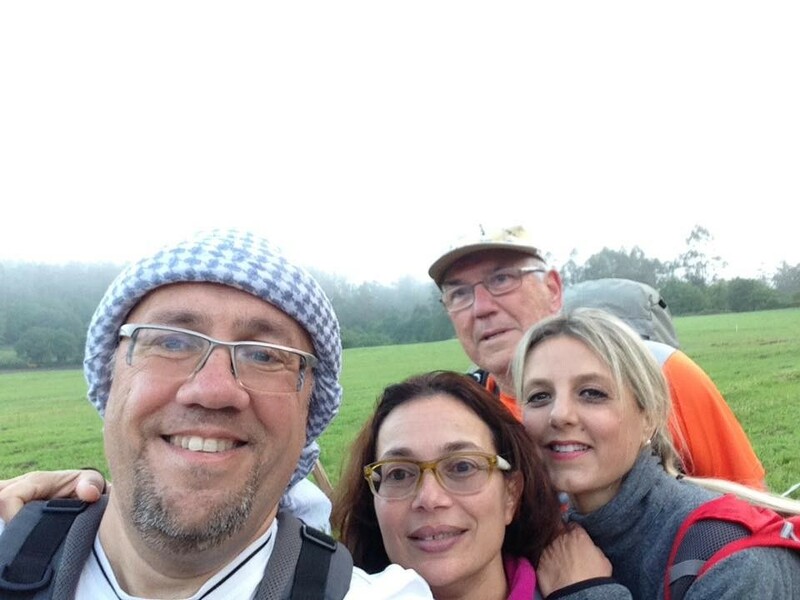 Four of us decided to get up early and start the second day’s trek before dawn. With head torches on, we proceeded ahead of the rest of the group to witness the stillness and eerie mist of the morning. We started that day’s Camino by following the waymarks out through the old mediaeval gate of Negreira as we headed toward Vilaserío. 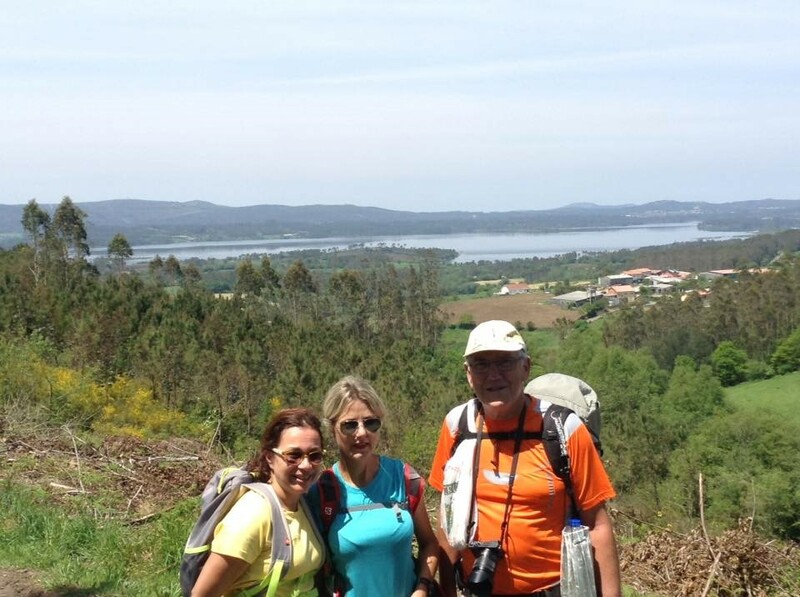 The second day of the Camino Finisterre was longer and more challenging than the first. There was also some spectacular scenery en route. We ascended from below 200 m to around 300 m above sea level. Thankfully, the day was rain-free. We had a bite to eat at Albergue Santa Marińa in Maronas and then pushed on until we arrived at Albergue Casa Loncho in Olveiroa. The day’s trek was about 37 km long and consisted of a gradual ascent from Negreira to Vilaserio (7 km), Maronas (18 km), Monte Aro at 400 m above sea level (25 km), and, finally, Olveiroa. While on the second day we were blessed with a rainless sky, it was not the case on day three. We started out early and had some respite from rainy weather until 9:00 a.m., when we reached Dumbr. Then, on the way to Cee, the heavens opened up, and it kept raining—at times heavily—for the rest of the journey. From Olveiroa we walked to Dumbría, then Cee, Corcubión, Sardinero, and, finally, Finisterre. 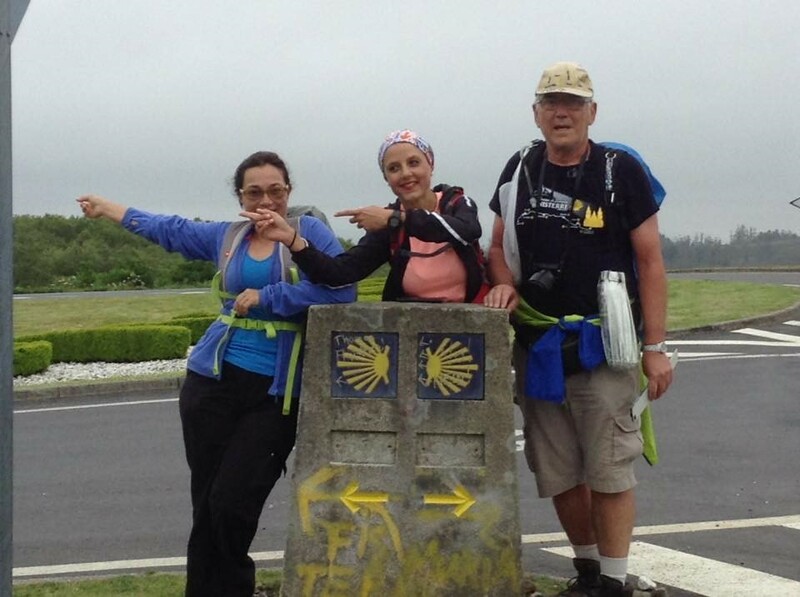 In total we walked 37 km, from Olveiroa to El Faro, Finisterre’s famous lighthouse. 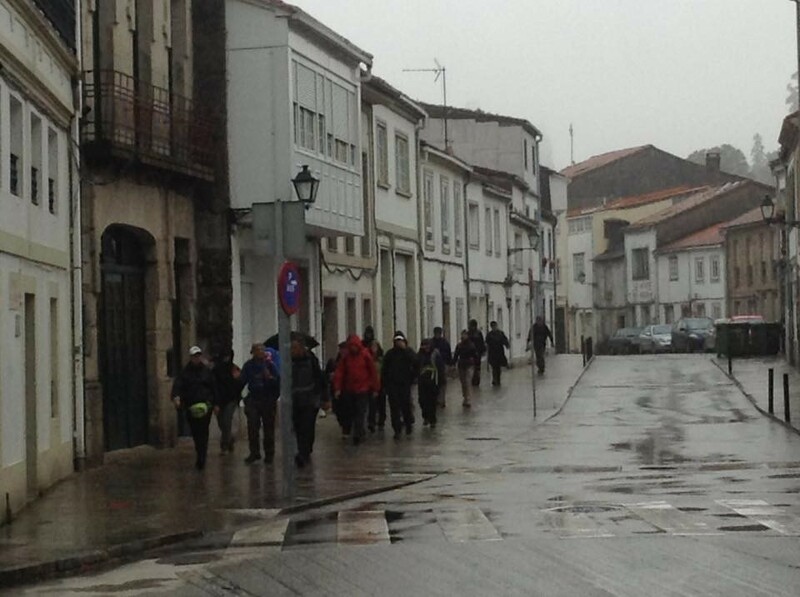 Upon leaving Olveiroa, we walked past a stream and then upward, toward wind turbines as we pressed on toward Dumbría. In Cee we stopped for a tortilla and some sidra (apple cider), as well as to momentarily escape the incessant rain. It is worth mentioning that, as you walk downhill toward Cee, you may have a certain expectation of proximity. 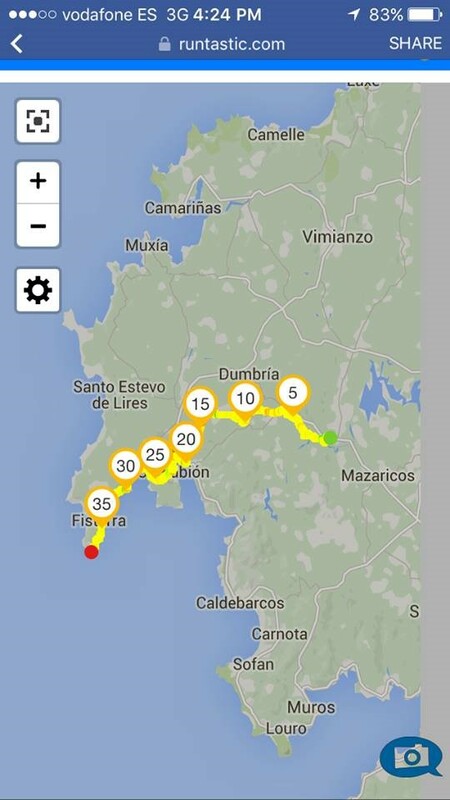 However, there is still a relatively long way through various towns along the coast before you reach Finisterre. 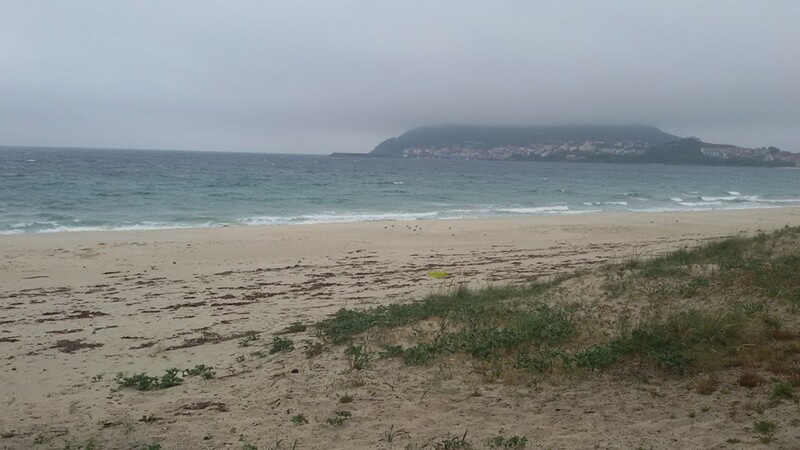 Upon arriving at the beach in Finisterre, we paused to take in the combined beauty of the scene in front of us: the sand, the rolling sea, and the sullen sky. Life is a journey, not a destination. 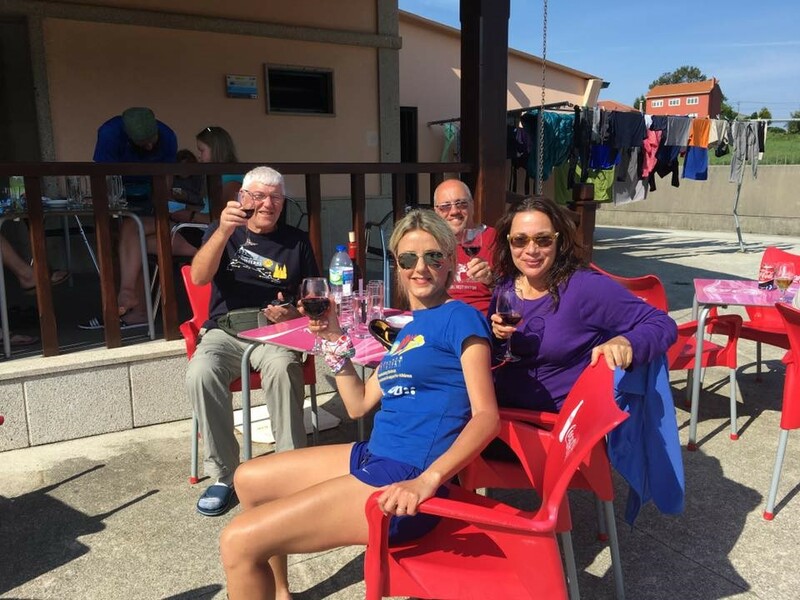 We reached the 0 km at Finisterre and celebrated our achievement. But how much more important is it in real life to share and celebrate experiences as we go through them? Buen Camino on this journey called life. 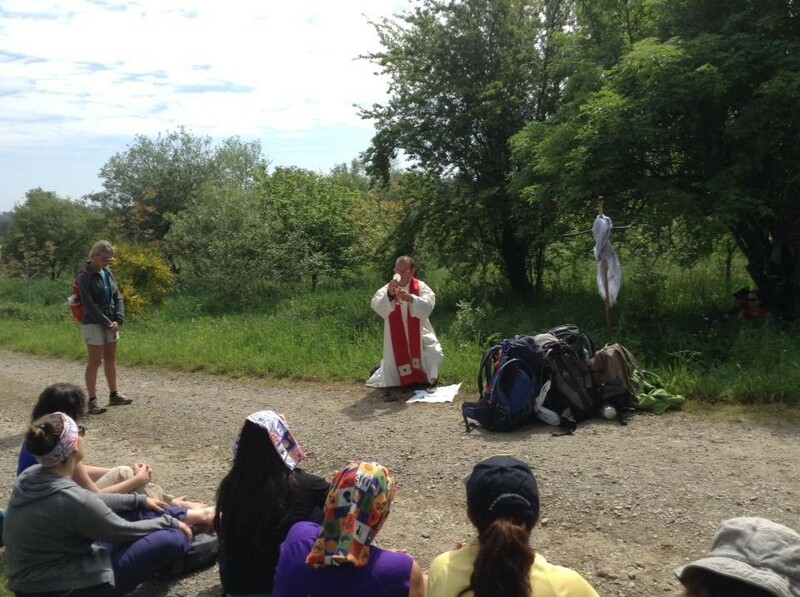 If you have plans to walk a Camino this year and would like to be a route reporter for the many other Caminos, contact me.